There’s a good reason that heating and cooling is considered a utility. Having working furnaces and air conditioners allow us to enjoy our homes in the most extreme temperatures in and around Beltsville, Maryland. With your heating and cooling system being so important, you don’t want anything to happen to it. HVAC maintenance is a vital part of making sure you stay cool in summer and warm in winter, so you want to take care of it as much as possible. Few people like to spend money and not be able to see immediate results from it. You buy groceries and see that the pantry is filled. You buy new car tires and stop sooner on the snow. It’s satisfying to spend the money and benefit immediately. But when it comes to maintenance, whether it’s getting your car an oil change or having someone perform a furnace tuneup, it’s the long-term benefits that you have to look at. Furnace maintenance isn’t something you want to skip, as you’ll find out below. People are asking us questions about HVAC maintenance all the time. How often does it really need to be done? What can go wrong if you put it off? Is it really helping my HVAC system? Let’s find out! 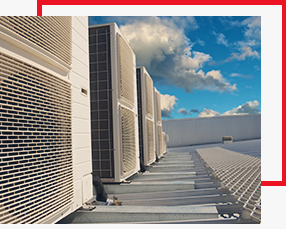 Why Does Your HVAC Need Maintenance? Everything breaks down eventually. In order for mechanical devices to work, there’s going to be some level of friction that’s occurring between pieces. A fan that has a screw loose can become unbalanced, which creates even more friction and wears down the attached pieces. It’s important to have an HVAC expert stop by in order to look for this type of wear and tune up any components that might be wearing unevenly. For heating units, cold Maryland winters can cause them to turn on multiple times an hour, putting stress on both their electronic and physical components. Electronics in the units — circuit boards and switches — have electricity sent through them every time they turn on, and these electric temperature spikes can weaken the molecules in the parts. Air conditioners have one additional problem: they’re outside. 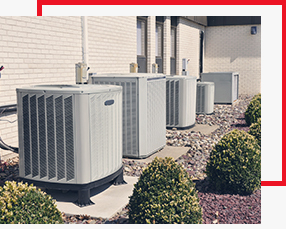 Because they’re out in the elements, AC units have to put up with wilder temperature changes than any other component. Hoses can crack as winter water gets in and freezes, and hail can also damage components. On top of that, their effectiveness can also be affected because of outside dust that collects on the coils. An AC maintenance company can clean it out and make sure everything is in good working order. How Often Do You Need HVAC Maintenance? Some people take a look at the cost of HVAC maintenance and think they can just put it off. One year leads to two, two becomes three. But that time, something usually breaks and they’re left with a huge bill that’s more than the cost of the total maintenance they might have spent. And all that time, their furnaces were less efficient and wasting fuel. It just makes more sense to have basic maintenance performed once a year. Having an HVAC expert around once a year can significantly lengthen the life of your equipment and improve its energy efficiency as well. WARNING! There’s one type of furnace that you should never put off having maintenance performed on: oil furnaces. Oil furnaces burn a fine spray of oil in order to warm the heat exchanger, but over time the jets can become clogged. Not only does this make the furnace less efficient, but it might not heat at all. Make sure you always have your oil furnace checked before you start up your furnace in fall. When Should You Call For Heating and Cooling Maintenance? The most common time that people contact us for furnace maintenance or boiler maintenance is during fall. Spring is the most common time that people call us for HVAC tune-ups to their air conditioning. It’s also a good idea to call us for an inspection if you’ve just moved into a pre-owned house. While you might have had a house inspection done, you’d probably be surprised at how little a house inspector actually does to test your furnace or AC. And if they do see problems, they will note them but not fix them. If you’ve just moved in, have a professional HVAC service by in order to give it a thorough inspection. When you need heating or cooling maintenance, here’s a little hint: call early in the season. When the weather gets cold and everyone else is thinking about getting their furnace up and going, it gets busy around here. When you combine those maintenance requests with the regular repairs, it just makes sense to get your heating checked out early in the season. We’re telling you to invest in HVAC maintenance…but why? Why is it so important to contact a heating and air professional? Let’s take a look. First of all, you want to extend the life of your heating and cooling system. They’re not cheap to replace (though we do offer coupons and financing for HVAC replacement), and keeping them in good working order ensures that small pieces that could be replaced during routine maintenance won’t lead to big problems that cause a total system collapse. An HVAC service can catch small problems before they become big problems. Everything in an HVAC unit is connected, and when a little piece starts to wear out, it’s better to go ahead and replace it before it starts to affect larger pieces. Staying on top of your heating and cooling maintenance can prevent much larger — and more expensive — problems down the road. …but you can’t schedule when your heating and cooling will break down. When you call us to schedule your HVAC maintenance, you’ll be able to decide when we stop by. You can have us over on your day off instead of having to call your boss with an emergency plea to stay home while you wait for the HVAC repair guy to stop by. If your HVAC system isn’t working as well as it could be, that means you’re wasting some form of energy. Not only is that worse for the environment, but it’s also not great for your wallet. As you can see, having regular heating and cooling maintenance performed is an excellent way to save money all around. Not only are you able to save money on energy, but also because you can have small repairs fixed before they become worse. While you’ll never get rid of all of the dust in your home, you can do something to cut down on it flowing through it so freely. If you have a forced-air system (as opposed to a boiler), dust is brought via the intake vents. Yes, most of it is trapped by a furnace filter, but some of it gets through and lands on the inside of your furnace. Having a furnace company stop by to clean everything out will cut down on the amount of dust running through your ductwork. If you have a natural gas furnace (the most common kind in the country), it’s important to keep them in tip-top shape. A broken furnace can be a serious safety concern if it leaks carbon monoxide into your home. Having a professional keep an eye on it will catch any early signs of a gas leak or cracked heat exchanger. Contact JC & JC For Your HVAC Maintenance! As you can see, HVAC maintenance is absolutely essential to keeping your heating and cooling equipment in the best condition possible. If you put it off for too long, you’re much more likely to waste money on both fuel and on larger repairs. 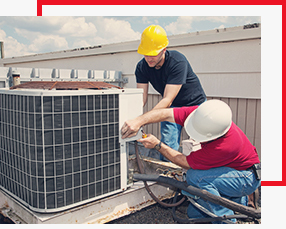 If you’re looking for HVAC service in the Beltsville area, JC & JC HVAC Mechanical Contractors is ready to provide you with excellent service. Contact us today to schedule your heating or AC maintenance! Should You Get a Wi-Fi Thermostat For Your Heating and Air Conditioning System?